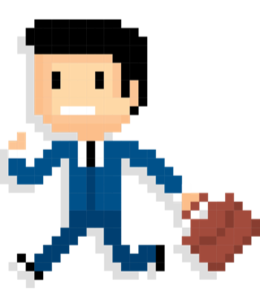 This article is the second in a two-part series on Career Planning & Self Development. Last week, I invited you to ask yourself some foundational questions when planning your next career move. You need to know who you are and what you want, and you need to get curious about the opportunities around you. But once you know those couple things about yourself, you’re ready to advance to the next level of your career planning! Odds are, if you find a listing for your dream job, the required qualifications aren’t going to look like a photocopy of your own resumé. There are probably a few gaps along the path between you and occupational bliss. Whether it’s a certification you don’t have, a degree you never finished, or simply not enough years of related experience, it can be incredibly disheartening to realize you’re still far off from the thing you want. I love making plans. There’s something about figuring out what I want and how I’m going to get there that simply excites me. It’s a bit like a puzzle – if I want to get to point A, but I’m way over here at point Q, what’s the best way to close that gap? For me, it’s a little like playing a video game as a kid. 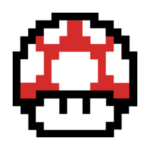 I loved working my way through those old, pixilated games! As an adult, the sense of accomplishment when I put together a smart strategy is the grown-up version of clearing a difficult level in Super Mario Brothers. It took me a while to realize that not everyone is wired this way. Perhaps you’re like me and enjoy sitting down with a pen and paper and mapping out a strategy for achieving your future goals. Or, perhaps you’re not like me, and what I just described is your perfect recipe for a panic attack. Either way, when it comes to your career, a little bit of focus and planning can go a long way. 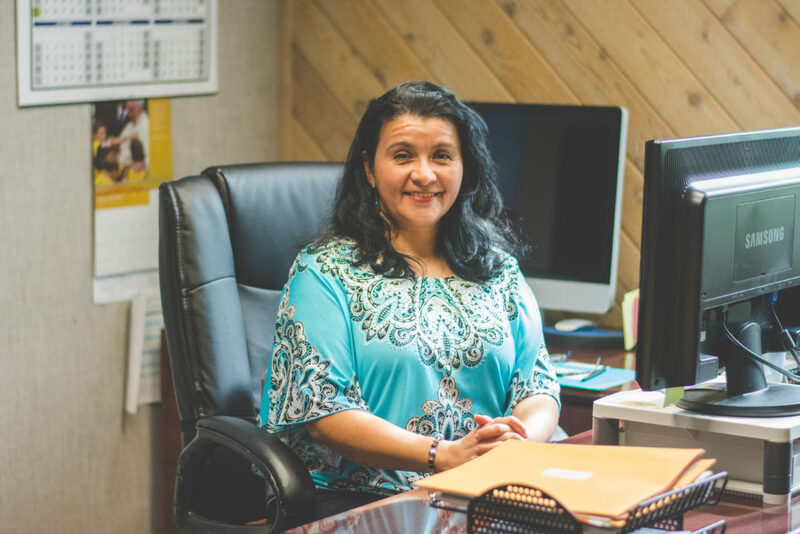 Griselda has worked in several roles during her tenure with Leggett. “I slowly moved my way up to Senior Accountant, Assistant Controller, and then Controller.” She currently serves as Regional Controller for our Fashion Bed Group (FBG). Griselda Ramos (left) pictured with a few of her colleagues. 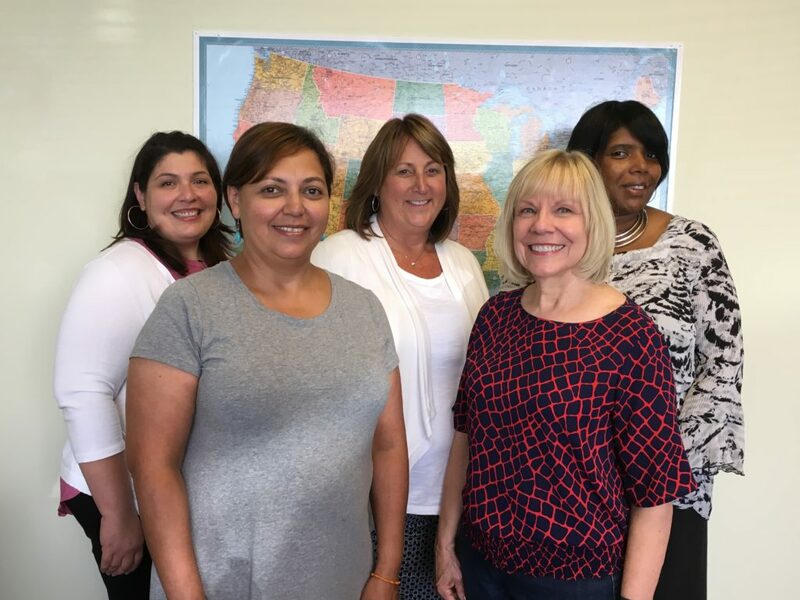 From left to right are Wanda Bonilla (Customer Support Manager), Linda Hickey (Sr. VP of Operations for FBG), Debbie Choate (Customer Service Manager), and Julie Kee (HR Manager). 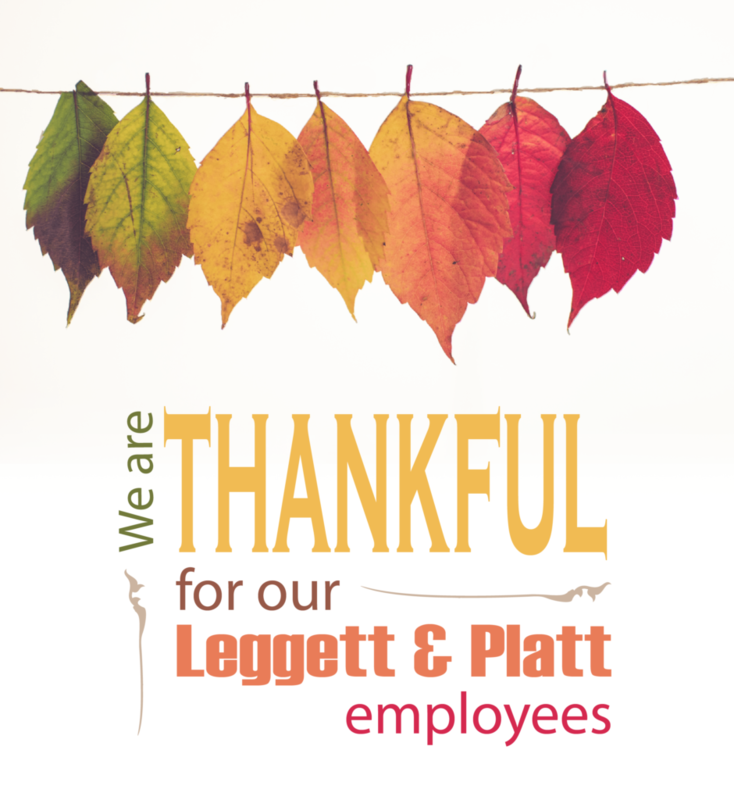 In 1986, Leggett & Platt acquired a company that would grow to be one of its most reliably profitable divisions. At the time of the acquisition, MPI was a company based out of Fort Worth, Texas that produced bonded foam carpet cushioning. Today, LP Carpet Cushion (LPCC) is an industry leader when it comes to developing innovative products and anticipating customer needs. “Customer service is one of our biggest areas of focus,” said Jerry Wahrmund, East Coast Regional Operations Manager. 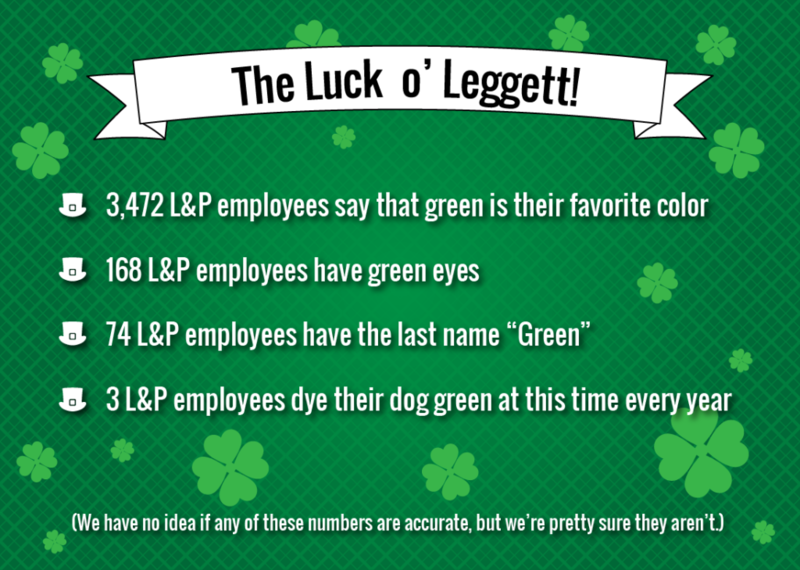 Jerry joined Leggett & Platt in 1995, and he oversees five Carpet Cushion operations on the East Coast. 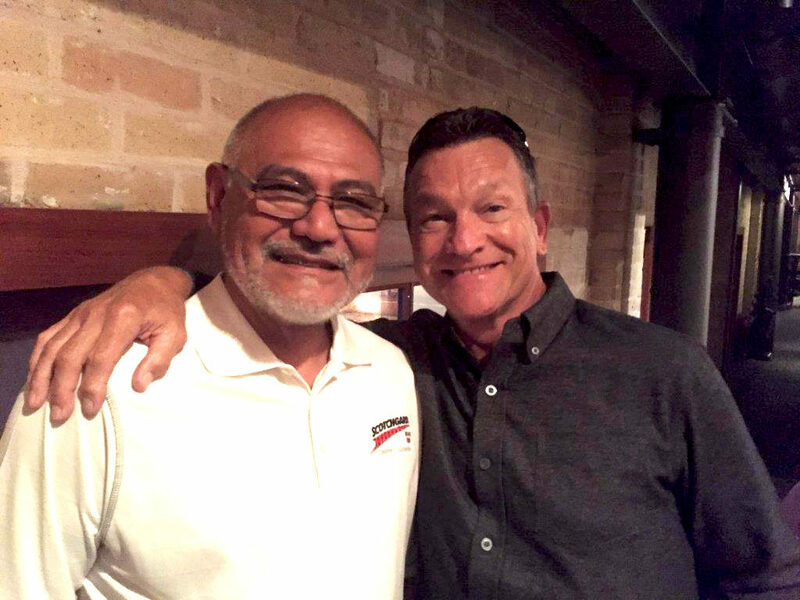 Two of LPCC’s finest: Branch Manager Jacinto Ramos (left) with Central Regional Sales Manager Michael Moore. 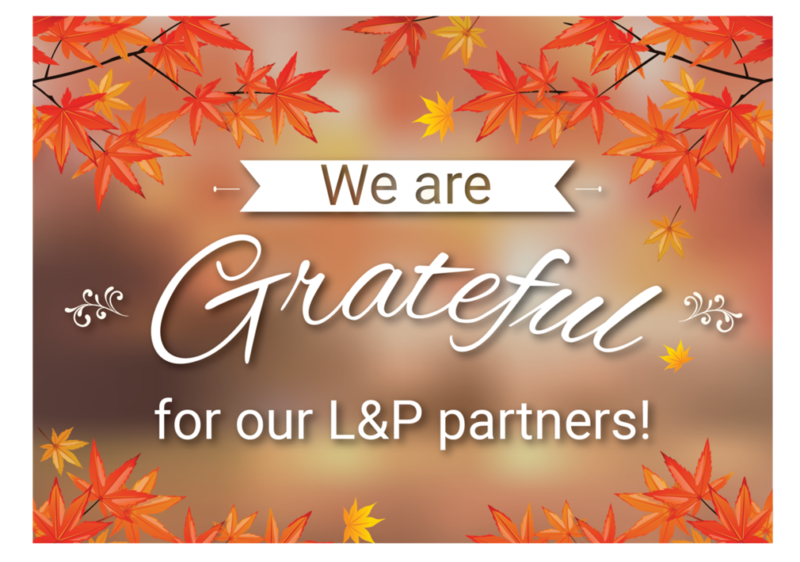 This September will mark Jacinto’s 48th year with L&P! We’re Thinking Green (and Having a Wee Bit o’ Fun)! Are you feeling stressed at work? With friends or family? Because of the holidays approaching? Flip through our second of two slidedecks which focuses on tips to tame your stressful situations, both at home and work. This is part of our in-house class, Stress Management, taught by Director of Succession & Talent Acquisition Rachel Heisten. Be sure to also check out Stress Management – Part 1, and have a stress-free holiday season! Flip through our first of two slidedecks which focuses on definitions of stress and the science behind it. This is part of our in-house class, Stress Management, taught by Director of Succession & Talent Acquisition Rachel Heisten. Stay tuned for Part 2 coming next week! And for even more learning content like this, check out our 2-part SlideShare series on Difficult Interactions. Liliana Rupp’s outlook on life is infectious. Her enthusiasm for her family, her work, and her community bleeds into everything that she does. She smiles as she talks through list of activities, which makes it seem as if she’s discovered a way to fit extra hours into the week. She speaks joyfully of her job, her upcoming test for U.S. citizenship, and her volunteer work with her church.